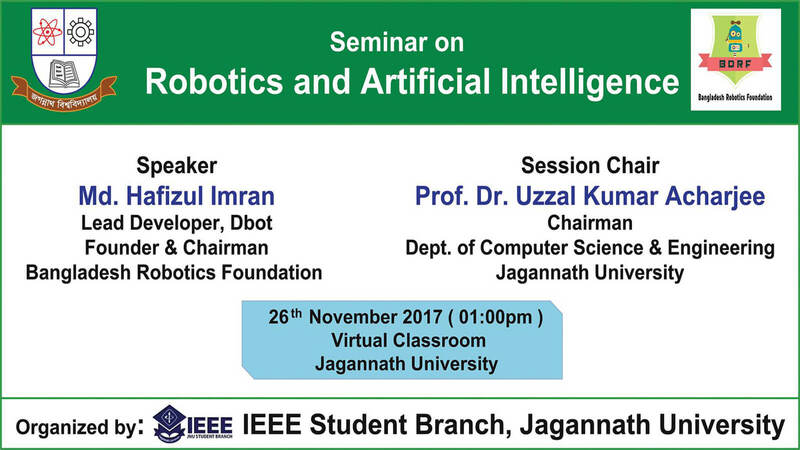 A seminar on "Robotics and Artificial Intelligence" was held on November 26 in the virtual classroom at Jagannath university organized by the IEEE Student Branch of Jagannath University & Bangladesh Robotics Foundation. Founded Chairman of Bangladesh Robotics Foundation Mr. Hafizul Islam is conducting his session. During this time, he gave the impression to the students present about the use of robots, various robots, artificial intelligence etc. A portion of the students present at the seminar. 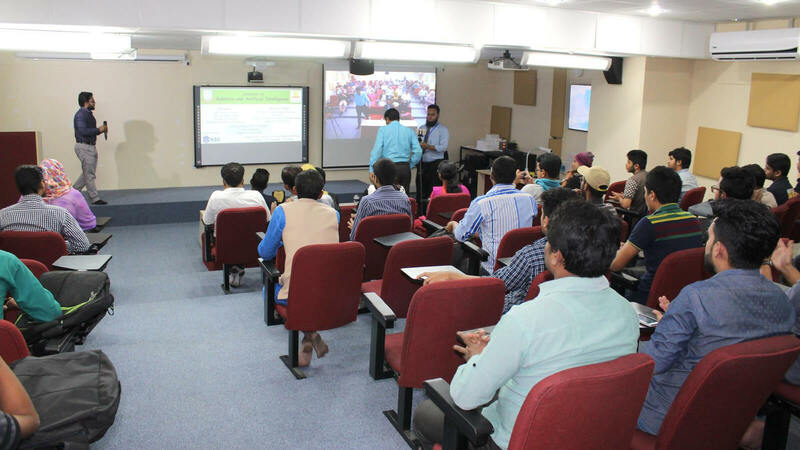 Apart from Jagannath University in the seminar, at least five university students including Dhaka University, Daffodil International University were present. 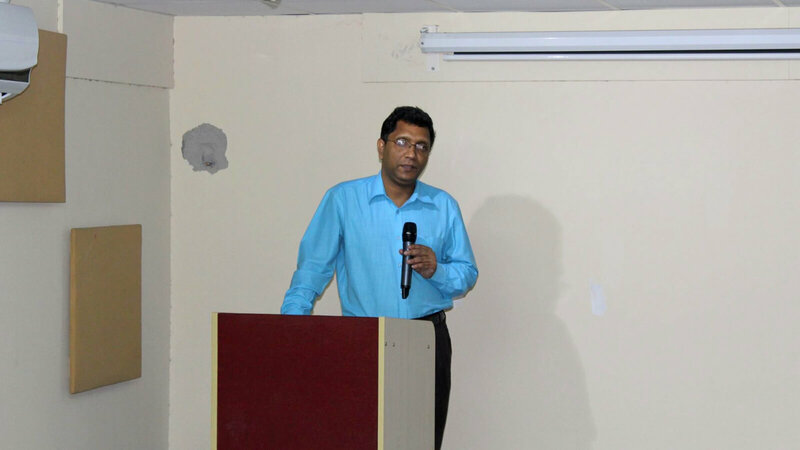 Professor Ujjal Kumar Acharya, the seminar chair of the seminar, gave his valuable speeches. Professor Acharya is acting as the Chairman of Computer Science and Engineering Department of Jagannath University. In his speech, he highlighted the importance of robotic and artificial intelligence. 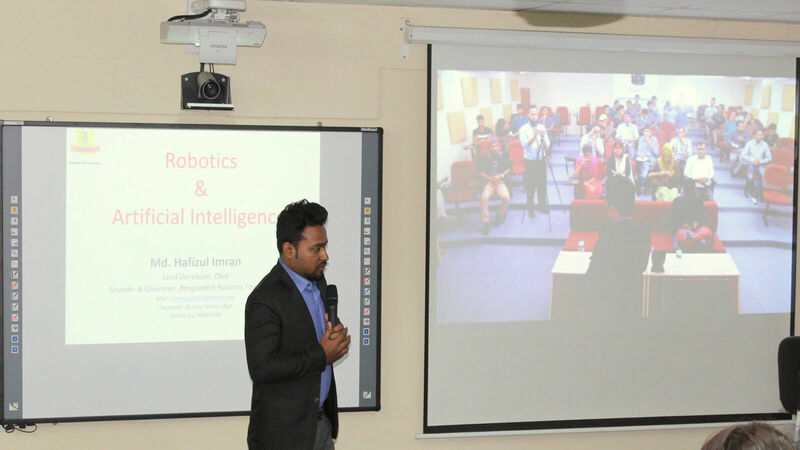 Besides, he hoped to work with the Bangladesh Robotics Foundation in collaboration with the CSE Department of Jagannath University. The Coordinator of IEE Student Branch Mehnaz Tabassum,, is delivering her speech among the present students and guests. 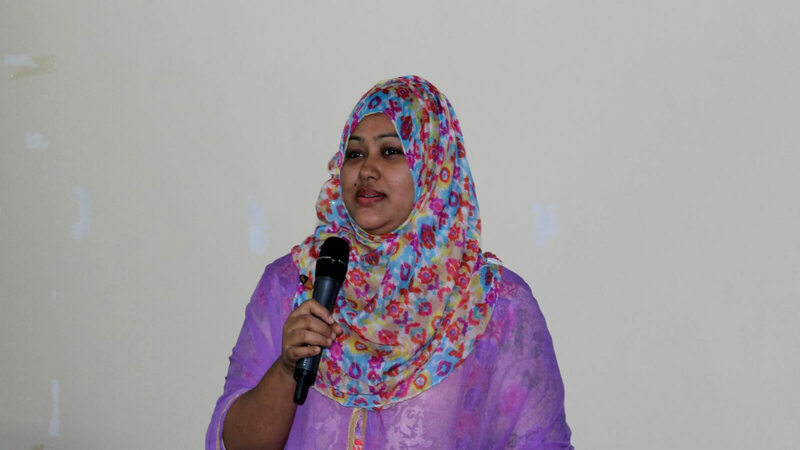 In his speech, Mehnaz Tabassum spoke about various activities of the IEEE Student Branch. 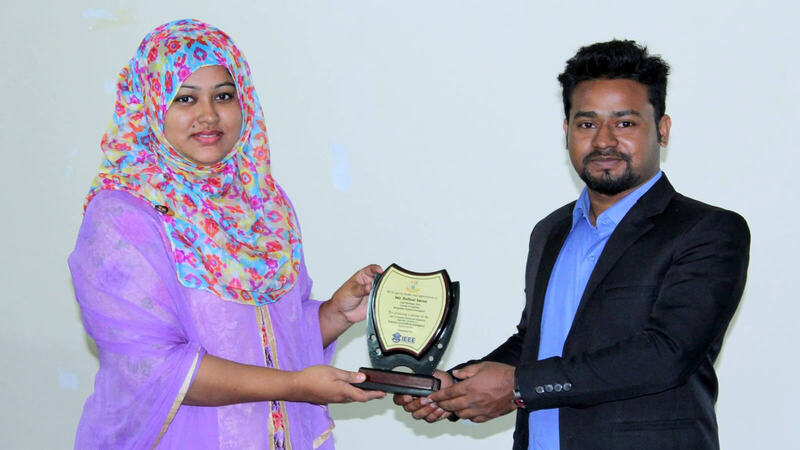 President of the Foundation, and the speaker of the seminar Mr. Hafizul Imran has been receiving the welcome memoir on behalf of the Bangladesh Robotics Foundation, from IEE Student Branch Coordinator Mehnaz Tabassum. 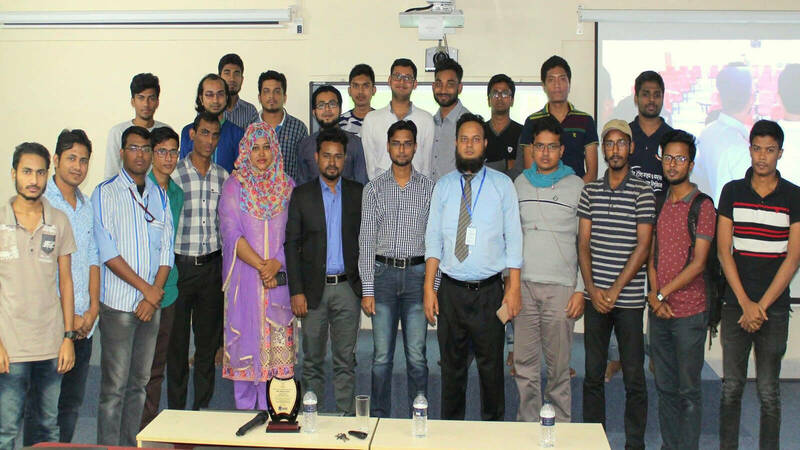 Members of the IEEE Student Branch, along with members, president, university teachers and guests of Bangladesh Robotics Foundation in one frame.